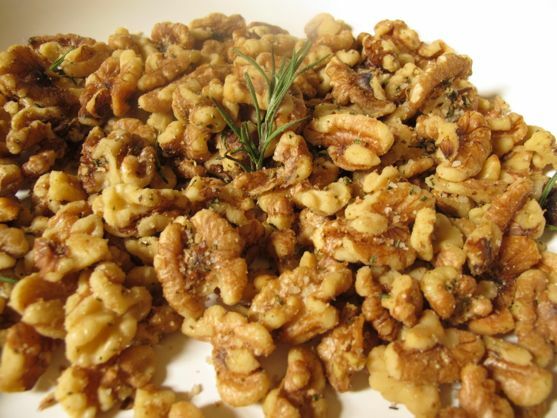 Mix olive oil and salt with walnuts. Add brown sugar if using. Bake for 5 to 6 minutes at 400 degrees F.
Serve warm if you can.